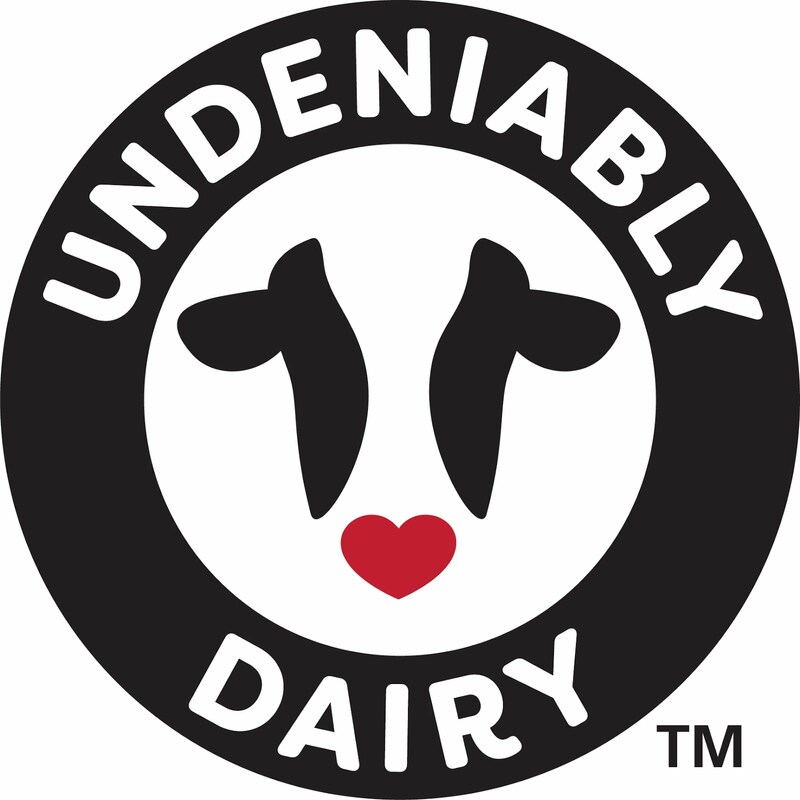 What better way to end 2017 or begin the new year than with an Undeniably Dairy dessert! Raspberry Delight, also known in our family as Purple Puddin', originated from my mother-in-law Bonnah Lyn's limited recipe files. Bonnah Lyn was a wonderful cook and did most of her cooking without any recipes to follow so I cherish each hand written recipe card that I inherited from her limited collection. Thank goodness she wrote instructions for Raspberry Delight so that we could continue to enjoy a family favorite! Mix the sweetened condensed milk with the juice of 2 lemons and set aside. In a separate bowl, whip the cream; fold in the jam and mix thoroughly. 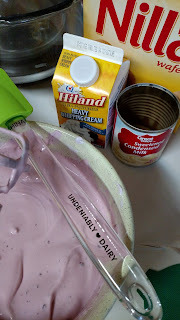 Add this mixture to the sweetened condensed milk mixture. In an 8 x 8 in. 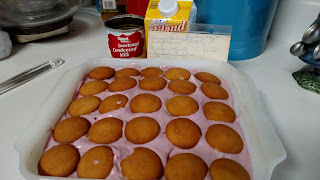 pan, line the bottom with vanilla wafers; add a layer of purple mixture, top with nuts (if desired) and a layer of vanilla wafers; repeat the layers. Chill and serve. From down on the dairy farm, we hope your new year is Dairy Good! Yum. 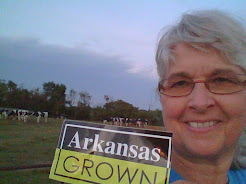 Happy New Year to you and your family down on the dairy farm! Wishing you the very best in 2018!